This article is a brief overview of how the U.S. government has come to be usurped by a banking cartel that controls government, media, corporations, etc. all because of their control over the money supply in the Western world, why they are desperate to keep their Ponzi scheme from unraveling and being jettisoned in favor of gold and silver and concludes with a look at what the charts have to say about the future movement in both gold and silver. 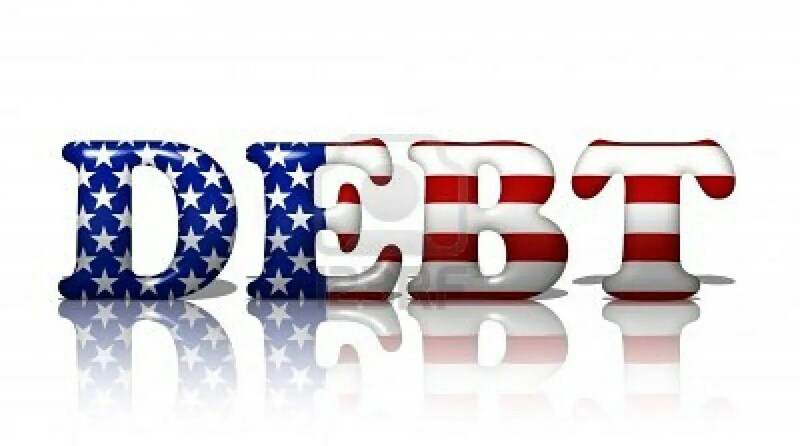 The above are edited excerpts from an article* by Michael Noonan (edgetraderplus.com) entitled Gold And Silver – Debt Is Trouncing Precious Metals, For Now. Animal Farm and 1984, meet 2014. The Western world no longer makes any sense, and common sense has been sidelined for decades. It is lies, deceit, and debt ruling supreme. The “American Way” which once was a standard for emulation is now a source of embarrassment, advanced by the bankrupt federal government doing the bidding of..those who adhere to and hide behind the Rothschild formula “Give me control of a nation’s money, and I care not who makes the laws.” – Mayer Amschel Rothschild. …Rothschild learned early on how incredibly profitable it was to lend to nations instead of individuals, and at times of war, profits soared even more. Wars were expensive. Troops had to be paid, munitions bought and, over a period of time, the expense of war drained a nation’s treasury. Being recognized as the source for available funding, kings and rulers readily turned to the Rothschild family for money. The Rothschilds always demanded gold and silver in repayment, and when that ran out, control over the issuance of a nation’s money was then demanded. Long story short, with its unparalleled… accumulation, the Rothschild banking clan became almost the only source of money to run a country. While the above may seem repetitive and, to some degree accepted as true, the review is presented as context for what follows. It is not widely known is that the English Rothschild bank funded the North in America’s Civil War, while the French Rothschild bank funded the South. It did not matter who would win, the Rothschild’s were going to increase both their wealth and, more importantly for them, their influence in US politics. That had always been their primary objective. Lincoln did not want to pay the bankers up to 36% interest for loans to fund the war. He decided to issue Greenbacks by the US government, interest free so that the country was not burdened with any interest costs, a very big deal. Lincoln was assassinated, (draw your own conclusions), and after his death, Congress immediately repealed the Greenback law. It should be known that when Lincoln announced his use of interest-free money as a source of funding, bankers stormed to Washington, D. C. to complain bitterly. Message: Never mess with bankers. Prior to the Civil War, the individual states that comprised the United States were the primary source of power. After the Civil War, the Federal government started to take control of power from the states and placed them under its umbrella. The bankers, under the control of the Rothschilds, were gaining the influence for which they had been scheming. The government, as most people believe exists, in fact, does not. The government is under total control of the central banking system, the Federal Reserve. When a nation no longer issues its own currency, it is no longer sovereign. This will come as a surprise to most Americans, but it was the Rothschild faction, the money controllers, the elites, who had that section written into the federal constitution. No one is allowed to question the validity of the public debt, no matter how invalid it may be! Theft had become legalized with the passage of that Article 14 of the federal constitution. It is your debt, Americans, and to make matters worse, you have to pay interest on every single dollar and cent loaned into circulation. Forget about what happens to how FRNs (Federal Reserve Notes) are treated once in circulation, their very existence is debt. There is no money in circulation. This country, the world, has been deceived into believing that a FRN is a “dollar,” just because the word appears on each debt instrument. Enjoying this article? Then “Follow the munKNEE” on Twitter and Facebook and get access to every article as posted – and don’t forget to “follow” or “like” it while you’re there. It’s a great way to spread the word and your friends will appreciate it. Gold and silver are the exact opposite of debt. When you own gold and silver, you own it outright. It is substance without any third-party obligation(s). You know by the unrelenting manipulation of the price for both by the central bankers how desperate they are to keep it from challenging their grand fiat scheme. Many thought the Ponzi scheme was unraveling last year, and many still believe fiat will be jettisoned in favor of gold and silver this year, sooner rather than later. That does not appear to be the case. while silver has not been able to gain as well as gold over the past several months, it has been holding its recent lows fairly well and, for as long as silver can hold it lows, as it has, the downside for gold may be equally limited, on a relative basis. 1. Noonan: How Long Will These Low Prices In Gold & Silver Continue? 2. Noonan: Will We See A New Gold-backed Currency? 3. Noonan: What’s It Going to Take to Cause a Sharp Price Reversal for Gold & Silver? 6. Noonan: Forget About $5,000+ Gold; It Ain’t Goin’ Happen Any Time Soon!